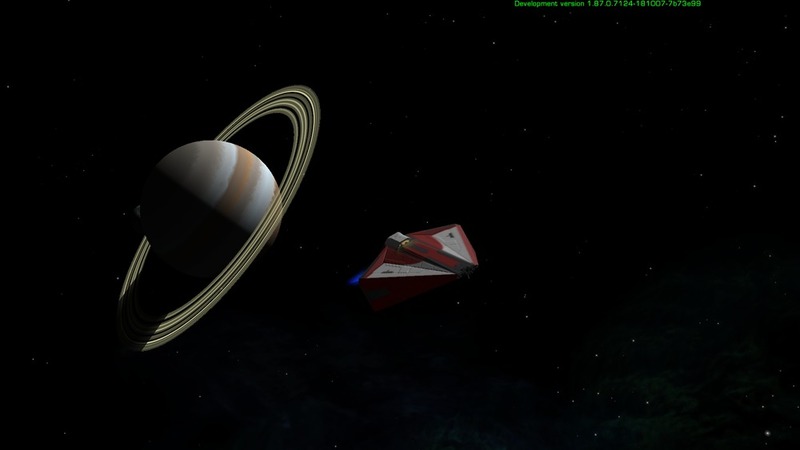 This OXP adds some dust rings to a few planets in each galaxy. 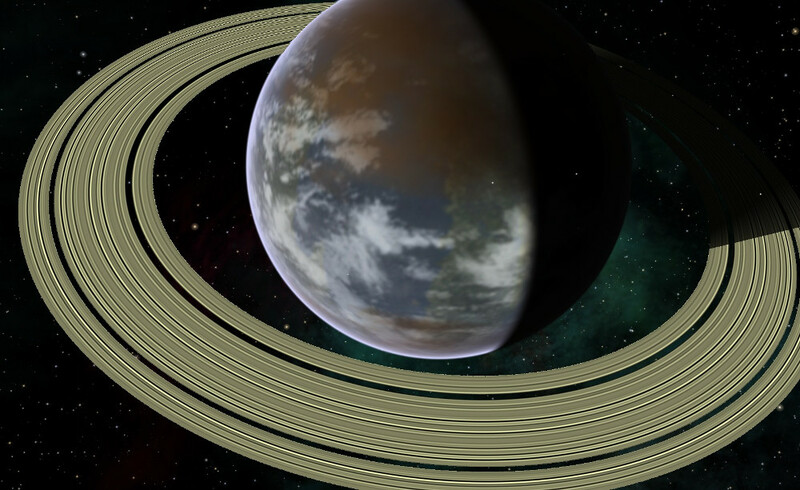 Whether those rings are traditional gas giant rings or debris rings from industry or long-past battles depends on your planet texture OXP. A shader-supporting graphics card is required, the more recent the better. Older shader-supporting cards may be too slow to render the rings at an adequate framerate. 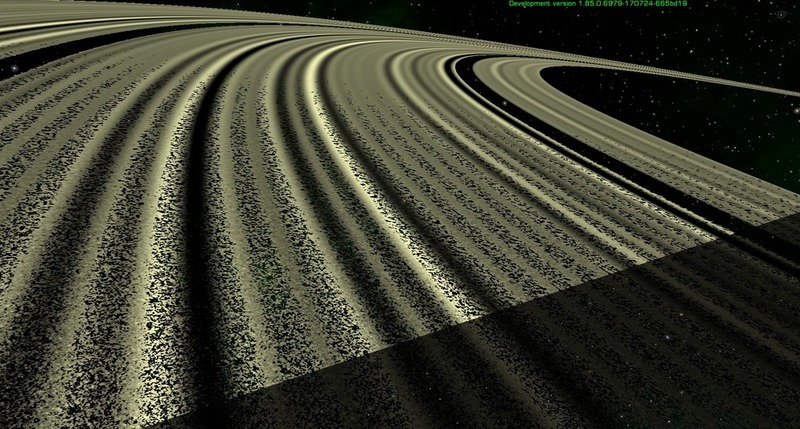 - Fixing a newly introduced bug in the visuals of the gaps in the rings. - some more minor optimizations. 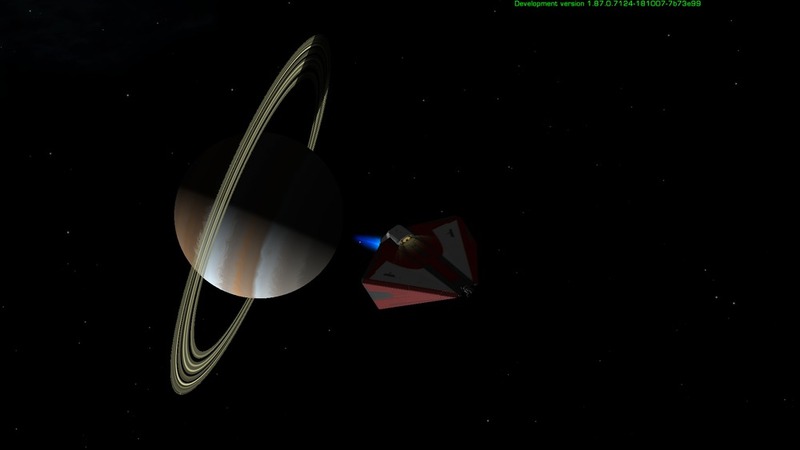 - rings get more transparent when entering an atmosphere. - optimized some of the shader's code (thanks Svengali!). - bug in the description text now properly solved, it was still present due to a small oversight (thanks again, Cody). - the sinusoidal functions which create the variations of colour intensity now fade in one by one according to the distance, which solves the Moire pattern problems. 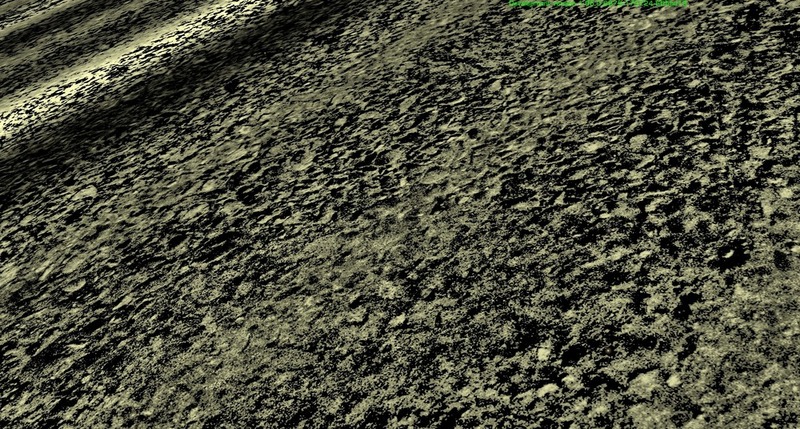 - shading applied at close distances so that the grains look like rocks. - fix for a small bug affecting certain cards (wrong type for second argument of pow). - change to shader to fix a bug with certain ATI cards. 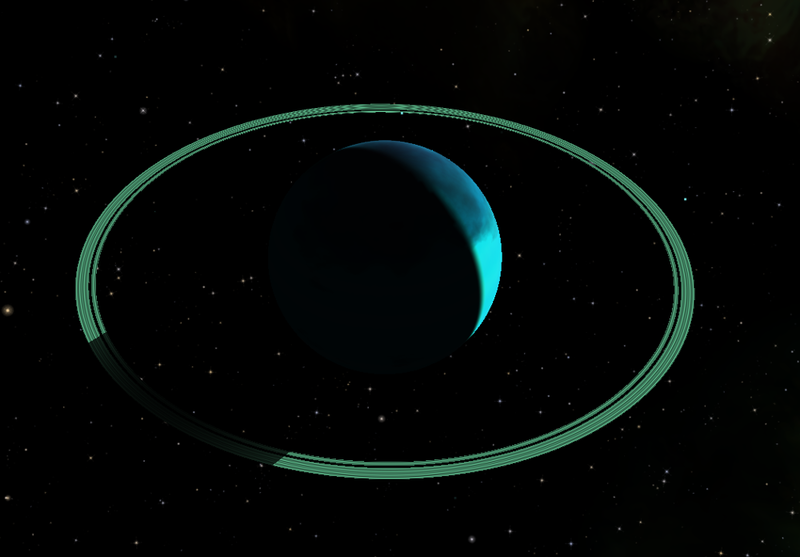 - rings fade into blue when entering the atmosphere (such as when using PlanetFall). - smaller ring bands and grains only visible at closer distance. - improved the issues with moire pattern, in particular at lower resolutions. 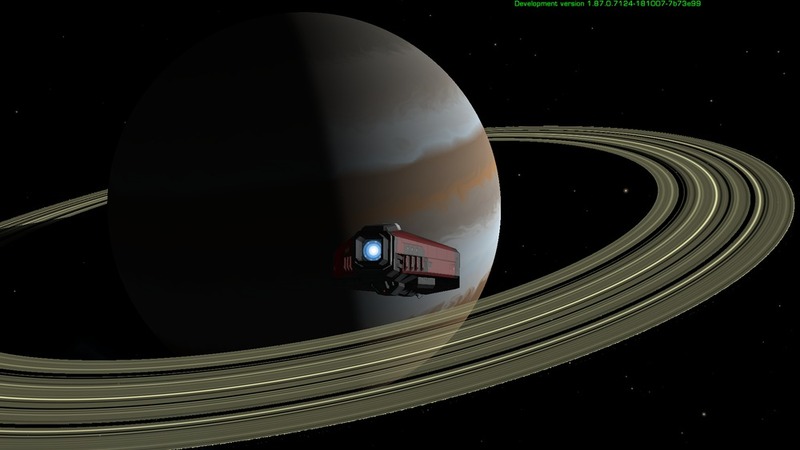 - the large gaps in the rings are now randomized making each system more unique. 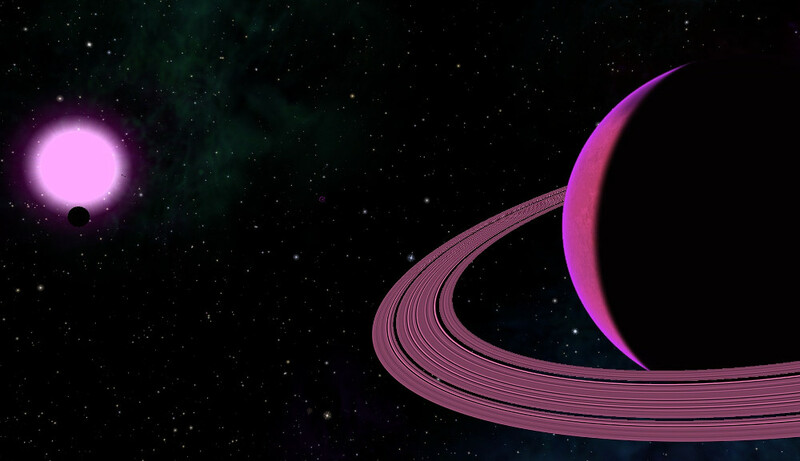 - the colour gradient function is also randomized for more unique rings. - renamed the effect script. 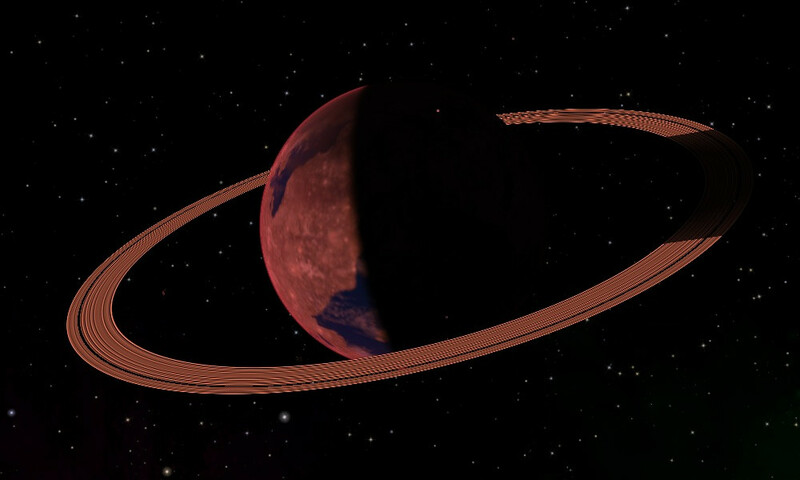 - rings now have different relative sizes to the planet. - they also have different radial length. - applied a slight yellow tint. 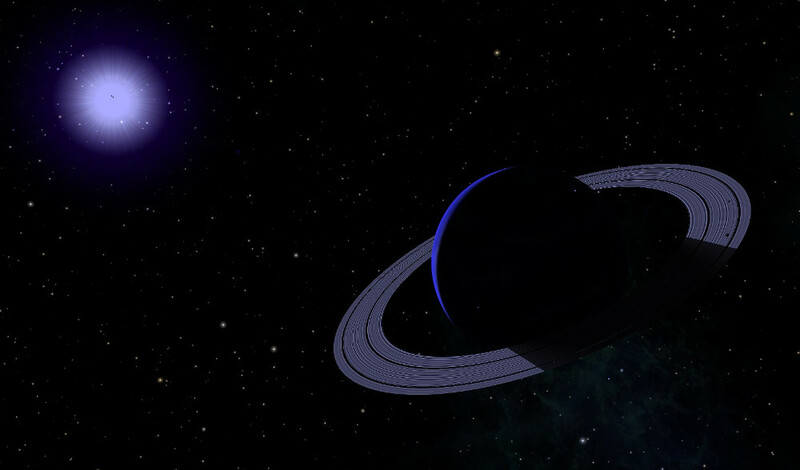 - changed the spawning algorithm which, among other things, make the rings more common. - ring now uses a colour gradient instead of a texture (which is now only used to generate noise). - use 1.80 features, repackage. 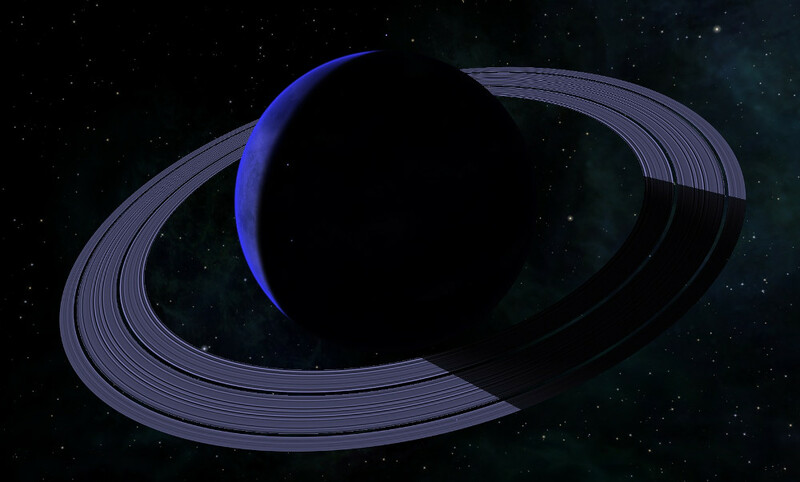 - improved ring texture and appearance contributed by ZygoUgo. Last edited by gsagostinho on Tue Oct 16, 2018 9:00 pm, edited 18 times in total. I would be very interested if anyone is suffering with performance while using this OXP, in particular when comparing to version 1.x by cim. I have just started messing around with GLSL shaders so there is a non-zero chance I am doing something suboptimal. 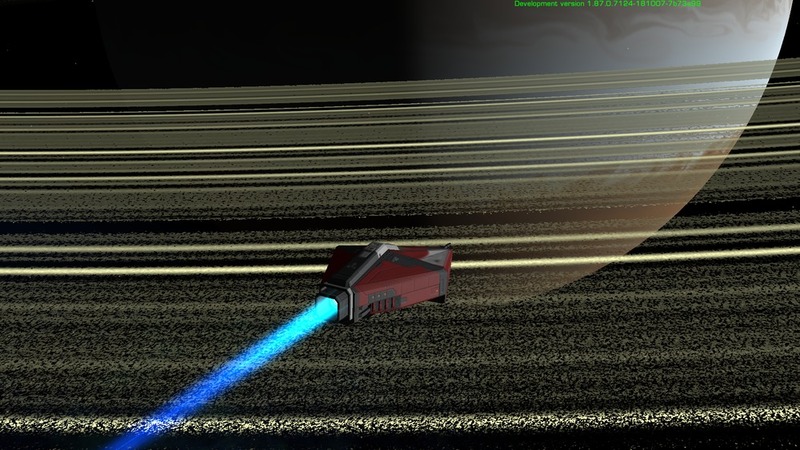 I run with a low ambient light level - is that why the 'shadow' disappears the rings completely? I'm not seeing any appreciable performance hit, btw. Hi Cody, I also use a lower ambient light level but apparently you use an even lower value than me! I think that what is happening is that the rings are not disappearing, but that because the thin bands appear when you are close, you can see the stars from the holes, and since the rings are solid black on your very low amb light configuration, they look just like the regular sky. Could you please make me a test and take a screenshot of the shadow part from a good distance (something like my first screenie in the first post)? 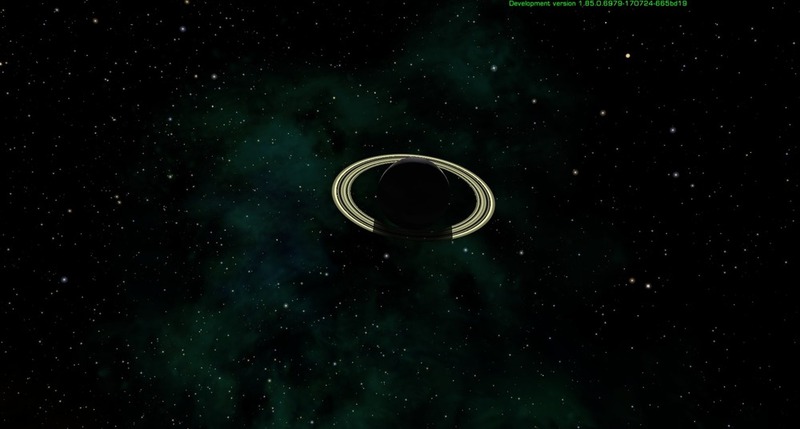 From that distance, the ring will be completely solid except for one or two large bands, and so even if it is solid black due to the ambient light it should not show any stars. 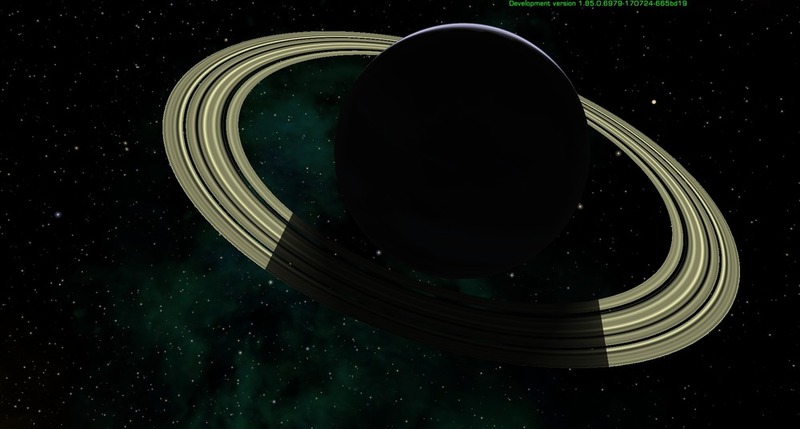 This value of 0.25 was added by me to make the shadows darker and match the planet dark side. 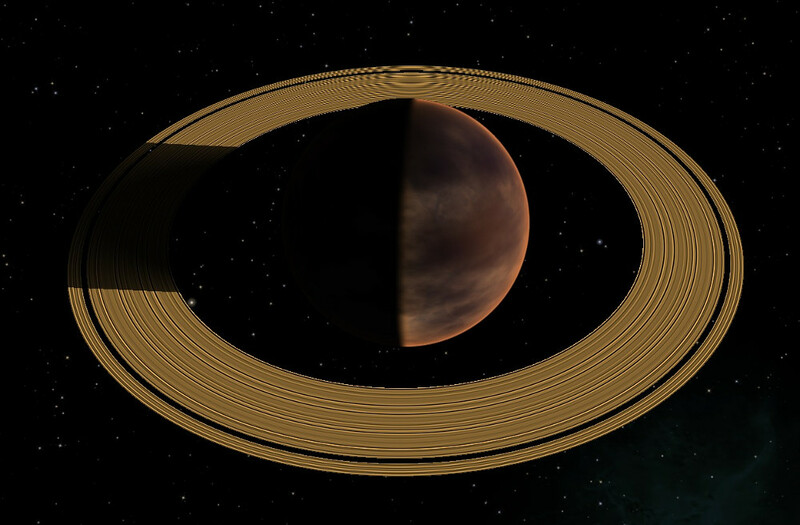 If you think the rings are too dark, try raising it for all three variables. The equivalent value used by the shadows of version 1.x was dp * 0.25. @Cody Please take a look at this this screenshot and see how the stars are quite visible through the holes in the rings when close to them. So in your case, the rings are being masked by the dark sky. No noticeable performance drop on my low-end system. But I see severe moiré patterns, much more intense than in the old version and it is quite jarring, to be honest. Anyway, so that's what I was suspecting.Your easiest option would be to raise that value that multiply those three lines I mentioned before. Try raising it from 0.25 to 0.5 or 1.0 and see how it looks. The issue is that the smaller bands are only visible when you get closer to them, so from far away the rings are solid but closer they have holes. Give it a try and let me know how it goes. Could that be because of different resolution? In my system, I had severe moire patterns with the previous version and now the situation is much much better. Do you know what planet is it on these screenshots of yours? Do you know what planet is it on these screenshots of yours? Lave, just after exiting the station. And yes, going to higher resolution (from 800 x 600 to 1440 x 900) changes the situation to somewhat better, but it's still very intense. @another_commander Thanks, I will inspect that. Yeah, I forgot to mention the more-intense moiré patterns (at my current max resolution of 1280x1024). Or does anyone has some other concrete advices on how to tackle this?